Blindlethorn, known to M&M as Blin, first met the couple in Arizona in the early 1990s when Mablehaven accidentally dug the foundation out from under the gardenia bed on which Blin was sitting. Since a rather menacing tom-cat was sitting on him at the time, he actually didn't mind the intrusion as much as he otherwise might. 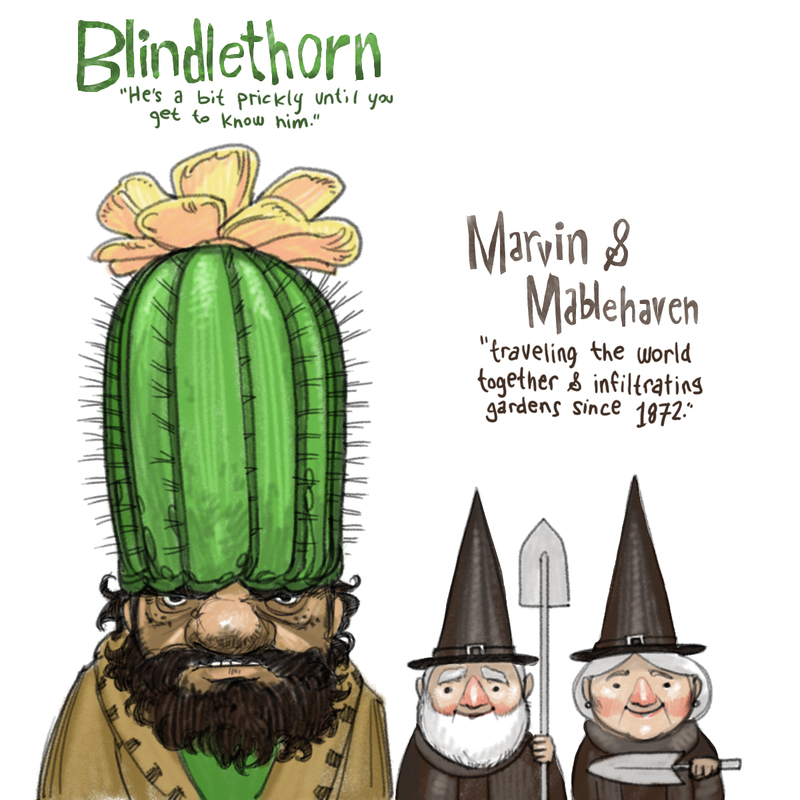 Blin has several hats, but Mablehaven insists he wear the one with the flower when they are together.